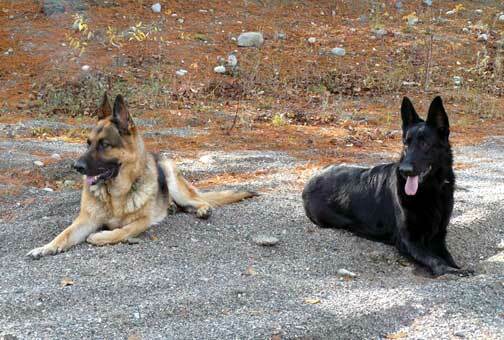 March 2008: Total German Shepherd Newsletter - Want to learn more about the German Shepherd Dog? Read on, here is the best German Shepherd Dog information available on the web, and all in one place, just for you and your German Shepherd. Just a quick heads up that I'm in the final stages of writing a book about German Shepherds! I've been asked by so many readers to compile a book that I finally decided that I would. I hope to have it done by the beginning of March - maybe around the 7th or so. It will be based on many of the topics found within the site as well as new information I have just been researching. This is great news for you because all newsletter members will be able to purchase the ebook at a very discounted price which will only be accessible within the members area. As soon as it's finished I'll let you know!